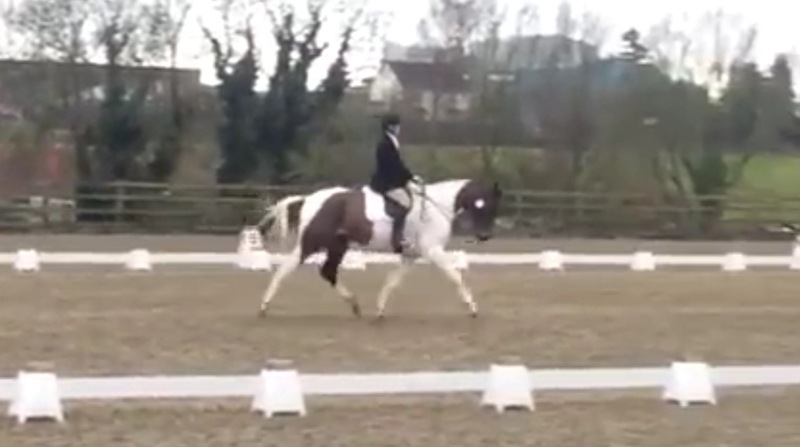 With so much rain falling we were so lucky to avoid getting wet at Allens Hill British Dressage show yesterday. It was Massimos affiliated dressage debut, he was quite tense in the first class having spotted some Shetland ponies grazing on a distant hillside, he even added a buck, which is very unlike him. He scored 63% in Novice 22 to finish 2nd. Second place was then the order of the day as he went so much better but due to an error of test on my part he scored the same mark in Novice 37 and came 2nd again. He feels more than ready to tackle a Novice BE dressage test so it’s just the XC and SJ to prepare now, I think that those might take a bit longer!!! We are booked to do lots of jumping in January and February so hopefully he will be ready to move up to do 100 BE by April and maybe even a Novice by Autumn. Thanks to Nikki Cox for the video and all your help.